Let the beacon guide you. 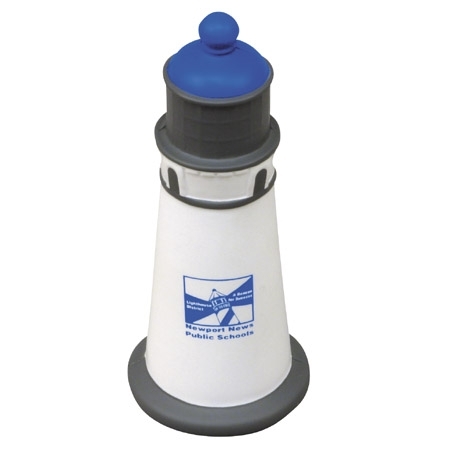 Promotional Lighthouse Stress Ball is made of Squeezable polyurethane foam. Shine a light on your brand using this lighthouse-shaped stress reliever.Measuring 4 1/2" x 1 3/4", make a statement and add a little pizzazz with your logo and message! This giveaway is an excellent choice for lighthouse tours, historic bay events and other beach occasions. Safety tested and intended for adults or for general use by consumers of all ages. Not intended for children under three years old or for pets.